If you like short hairstyles and want to cultivate a fresh, edgy look that will get you noticed, there's nothing quite like spiking your hair. But finding the right spiked style for you and maintaining it in good condition can be tricky. It's important to know what you're doing if you're going to look your best. The simplest way to spike your hair is simply to start with a short, layered cut and brush the hair upwards before fixing it in place. This works very well on some people but has the problem that it leaves hair at the sides of the face and back of the neck looking flat. Depending on the shape of your face this can be quite unflattering. Some people get around this problem by using clippers to keep these parts of their hair much shorter. This draws attention to the cheekbones and can be very flattering. Its drawbacks are that it's high maintenance - although clipping is a quick process, you'll need to do it every few days - and it won't look good if you have bumps or blemishes in those areas. Some people like to spike the top part of their hair whilst keeping some length at the back. This works better if the back part of the hair is carefully layered and the spikes at the back are curved down over it, but the contrasts are such that it's not a style that flatters many people. Once you have the right cut, it's time to start thinking about shaping the spikes themselves. This will have to be done every morning because your style will be flattened when you sleep, but with practice it can be very quick. Basic fine spikes can be created by brushing the hair upward with a wide toothed comb and fixing it in place. Creating fine spikes will give your hair a dynamic look but not a lot of definition. 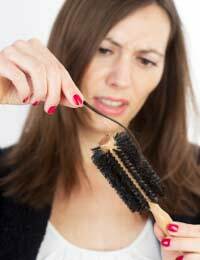 Many people prefer to create more distinctive shapes by pinching strands of hair together. At first you may find it difficult to do this evenly and you should have an extra mirror so you can make sure you're getting it right at the back. With practice, though, it should get a lot easier. There are many different ways to hold spikes in place. Using styling mousse or gel tends to be a lot more effective than hairspray. Not all mousses and gels, however, are designed with the strength to support hair in this type of position. Fine hair is easier to support than thick hair and naturally curly hair will stand up easily but will have to be held in position laterally, so you may need to experiment before you find the best product for you. Although an increasing number of hair fixing products are waterproof, this isn't true of all of them, so you should be aware that, depending on what you use, your hair may be at risk of going flat when it gets damp. A hat will often squash your spikes so make sure you carry an umbrella. To keep it short enough to spike, your hair will need to be cut every two to three months, ideally keeping each strand under an inch and a half in length. This should be very quick and simple to do, so make sure you're not overcharged for it. You may even be able to do it yourself at home. Once you've got the hang of basic maintenance, spiked hair is very little trouble. Because it's cut so often it's easy to keep the hair healthy and keep you looking great.